What is an Arizona Non-Disclosure Agreement? Build a document in minutes with our step-by-step tool. Arizona Non-Disclosure Agreement: What Is It? An Arizona non-disclosure agreement is often referred to as a Confidentiality Agreement. An Arizona non-disclosure agreement is an important legal document. 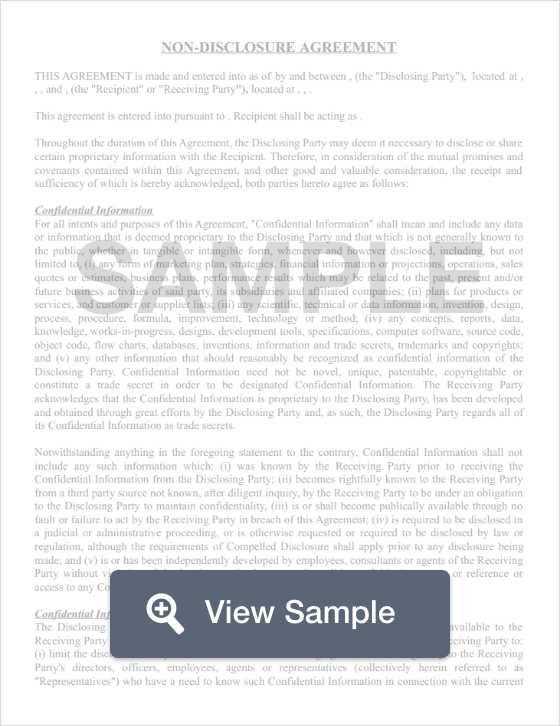 This document protects trade secrets, intellectual property, patents, and more. When an employee or a contractor signs an Arizona non-disclosure agreement, they are promising to keep certain information confidential. However, it is important that an Arizona non-disclosure agreement be reasonable in nature or it will not be held as enforceable by the court. Arizona non-disclosure agreements are governed by Ariz. Rev. Stat. § 44-401 through § 44-407. It is important that all non-disclosure agreements are reasonable and comply with the above statutes. Is kept secret using reasonable methods by the company. It’s important to make sure that the NDA is reasonable. Arizona non-disclosure agreements should include a specific time-limit. However, the time limit must be reasonable in nature. The geographical area limit must also be considered reasonable. Also review the scope of restrictions and ensure that they are reasonable. An Arizona non-disclosure agreement is generally part of a contract package for employees and contractors. Another important part of that contract package is an Arizona non-compete agreement.